Are you planning on moving house or flat in the Richmond area? If you are moving home in Richmond Surrey, and looking for a reliable, local removal company then call Casey’s Removals on 020 8780 2348 to arrange a FREE no obligation moving quote for your move. Just about every single relocation is different, and so no matter what your home move needs are, Casey’s expert and trusted staff can easily provide for you. Our Richmond home moving service cares for each step – from meticulous packing of your personal items to safe transportation, you can be sure that your belongings are in the very best of hands. • to carefully transporting them to your new home ( along with free goods-in-transit insurance protection as standard). • Delivering your contents and reassemble your furniture exactly where you want it. Casey’s residential moving service starts with a plan, and that the understanding that you will have unique requirements. A pre-move inspection by a Casey’s Removal estimator is the most effective place to start the planning process. They will review your property’s contents and the general size of your move, the resources required and talk you through the relocating process. A complete quote will be presented absolutely free. 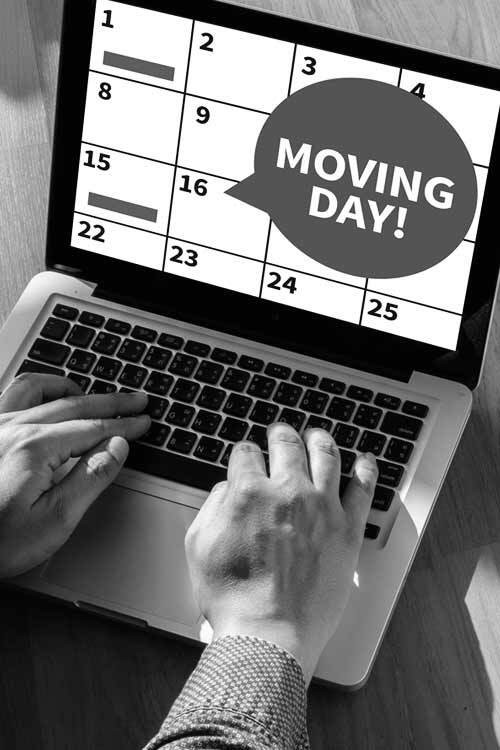 If you work during the day, you might want to consider Casey’s convenient evening and weekend removals. We have a large fleet of vehicles in different sizes so we use the most suitable for the job ensuring the best value for money. Thank you for providing such a professional service with such hardworking members of staff. From initial quotation it was evident you were extremely experienced and this was backed up by your customer reviews. Your staff were punctual, always communicated with us and were managed well by the team leader. Loading and unloading our goods was well planned and care taken. We were really happy with the service. As well as being able to provide a comprehensive removal service, Casey’s also makes available full packing services with for all home and residential moves. Our trustworthy and friendly house movers are available to disassemble and meticulously pack all of your home furniture and personal belongings. We are skilled in the art of packing fragile objects like glassware, ornaments and electrical devices, employing the best packaging to make certain safety en route. Given that our company offer no-cost goods-in-transit and public liability insurance on all home removals, you can rest assured that your property will all be thoroughly protected. Many people prefer to pack themselves, and if that is you, we can supply the highest quality moving boxes and packing materials (packaging tape, bubble wrap together with packing paper/tissue). No matter how big or small your move, or you just simply have to create some room, we are able to store your furniture at our safe and secure storage facility. We provide both short and long term storage rental. In addition to our storage solutions, Casey’s Removals similarly provide packing services and transportation of your possessions direct from your home or workplace to our facilities, with our competent and courteous staff taking care of all the heavy lifting and disassembly. Utilizing goods-in-transit and public liability insurance on every move, along with specialist packing of delicate and easily-breakable items, you can rest assured that any belongings you place in storage with Casey’s are safe and secure. We understand exactly how nerve-racking relocating can be – permit our experts make it a problem-free experience. You can rest assured our firm will definitely take the greatest care when moving your possessions. Our specialist team are always here to reply to any of your queries. To learn more about Richmond removals go here.